An exciting collection of pearls, crystals, golds. shells and black beads. 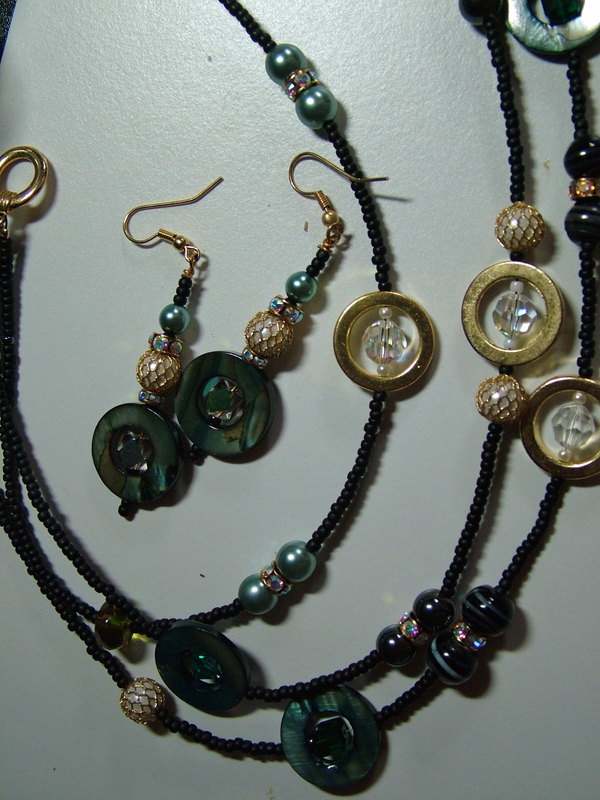 Three strands of semi-precious stones in black and gold tones. This, one only, fun piece can be worn daytime or evening and is sure to compliment your outfit and bring attention to the wearer.